I have no idea what I am doing, but what else is new. 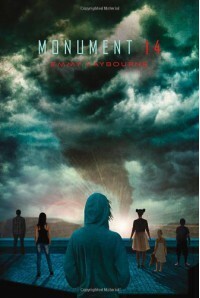 Full review on Books of AmberMonument 14 has an interesting premise. There's a series of natural disasters which set off a whole chain of events, and eventually cause toxic waste to be released into the air. I really like post-apocalyptic stuff, and I was looking forward to this one because I thought it might help me edit my own apocalypse survival plan. Instead, it was a dull. So. Dull.